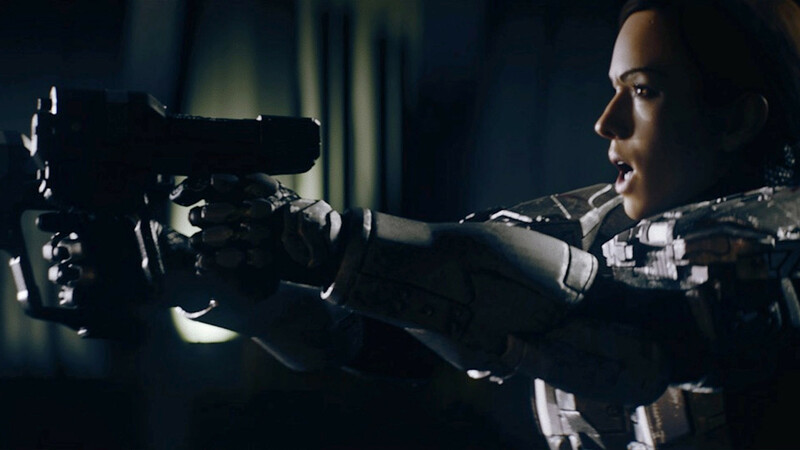 Throughout the CGI cutscenes in Halo 4’s Spartan Ops, one thing that very much irked fans was how Spartan Sarah Palmer could 420quickscope/insta-kill Promethean Knights with M6H Magnums. This didn’t just frustrate fans, it frustrated them in many ways. Some fans were upset due to them having to take out the shields of the Knight with the Magnum before being able to kill them whereas Palmer just one-shotted them with little effort, other fans were simply upset due to it making absolutely zero canonical sense whatsoever. Ya know, a weapon firing a single bullet simply should not be able to instantly kill a highly advanced war machine created by a tier-1 species from 100,000 years ago. Frustration aside, the most widely accepted explanation for Palmer’s hacking is that Axis Animation (the ones who made the cutscenes, and they did actually do an amazing job) simply didn’t want to squeeze in the three hours it takes to kill a Knight with a Magnum inside of 5 minute cutscenes. Essentially, Palmer being able to one-shot Knights is non-canon, and simply a matter of production. Palmer could one-shot Knights because the Knights were so stunned by Jennifer Hales’ voice that they lowered their shields for her, allowing her to headshot them. Jul ‘Mdama forgot to tell the Prometheans to use shields while assaulting Infinity and while defending him as Spartan Palmer and Fireteam Majestic stormed the Librarian’s Rest. Someone handed the AUX cord to Palmer’s Magnums, thus giving each single shot enough bass to completely obliterate a Knight’s physical carapace. Palmer and the Knights were actually working for the Illuminati, and the Knights allowed Palmer to instantly kill them in order to bring about the New Galactic Order. See? Anything is possible if you put your mind to it! ← ANNOUNCEMENT: HaloSwallower Is Now On Facebook!